Do-Re-Mi, Favourite Things, Edelweiss – who can’t reel off a few lines of The Sound of Music songs? Fifty years ago one of the most iconic movies of all time was released and ever since the hills and so much more has been alive with the Sound of Music. 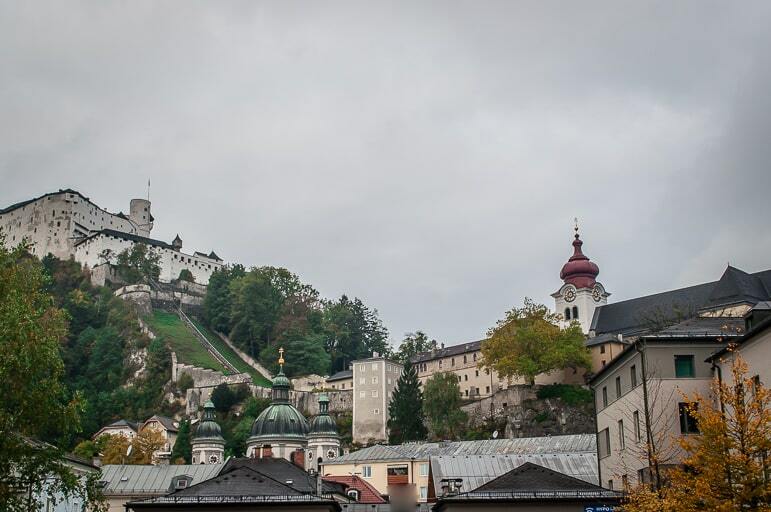 The rooftops and mountain scenery of the Austrian city of Salzburg remain essentially the same, but five decades on, The Sound of Music has left its mark on the world of entertainment and significantly, the city. 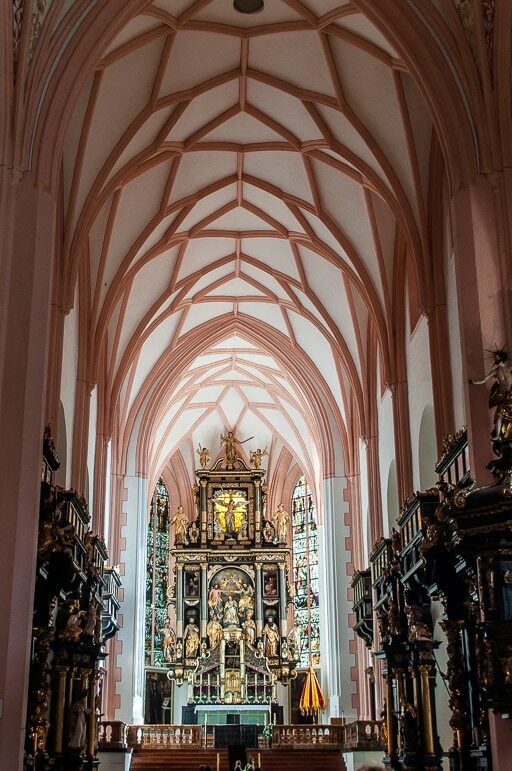 There is of course so much more to Salzburg than just the Sound of Music. But as long-standing fans of the film we were delighted to be the city to be part of celebrations marking the 50th anniversary of the most successful musical of all time. Our excitement level was at bursting point as we arrived for three days of festivities. These included a musical gala, a press conference and interviews with the Sound of Music cast and members of the von Trapp family, as well as tours of various locations from the film. It was remarkable to discover that while the rest of the world has long relished the film, it has remained largely unknown in Austria, and of even less interest. It was only in 2011 that the Sound of Music songs first appeared on the radar of Austrians when the musical was performed in Salzburg. Today, regard for the film is growing as the musical is now performed at the city’s Salzburger Landestheater. Checking into our four-star hotel the Mirabellplatz we couldn’t resist heading to the Mirabell Gardens just across the road. 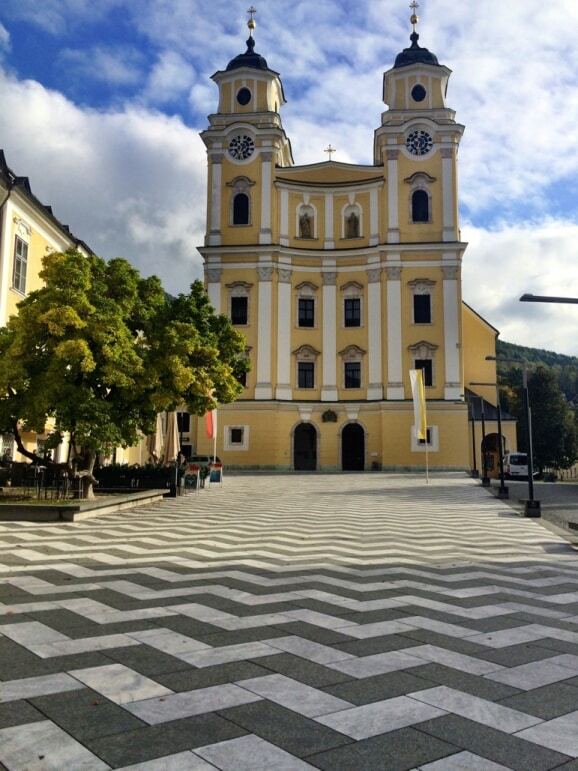 It was here that Julie Andrews’ Maria and the von Trapp children sang, danced and leapt around the fountains during one of the best known The Sound of Music songs, Do-Re-Mi, in the 1965 film. 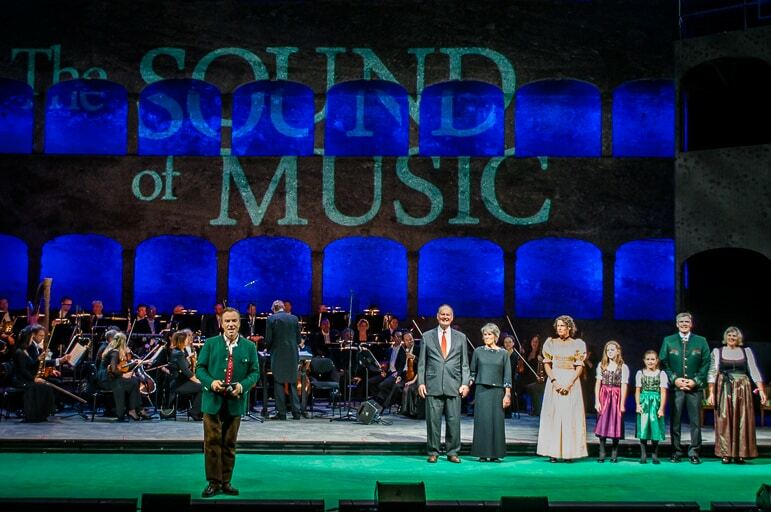 As part of this special occasion we interviewed four of the seven children from original The Sound of Music film cast. 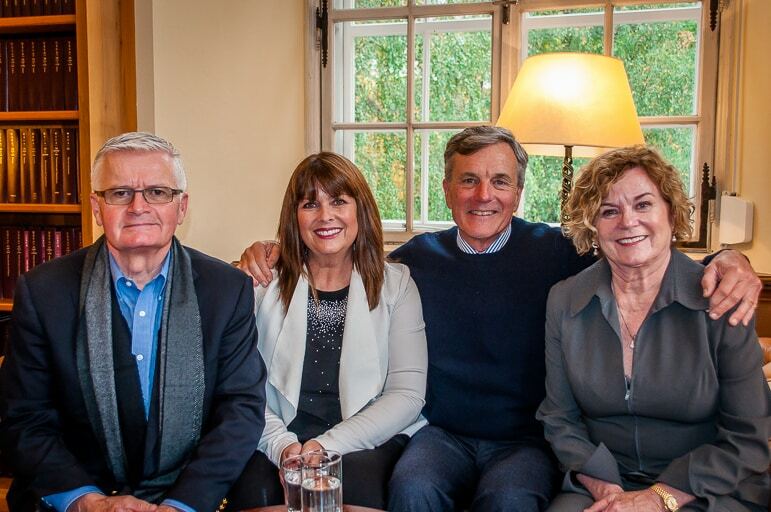 Fascinating behind the scenes revelations were provided by the lovely actors Nicholas Hammond (Friedrich), Duane Chase (Kurt), Heather Ulrich-Menzies (Louisa), and Debbie Turner (Marta). I say lovely as they were very friendly, forthcoming with their time and genuinely down to Earth. After all the interviews they must have done over the past 50 years, it would be easy to be cynical. Yet they remained outgoing and graceful when discussing things they’ve spent most of their lives talking about. 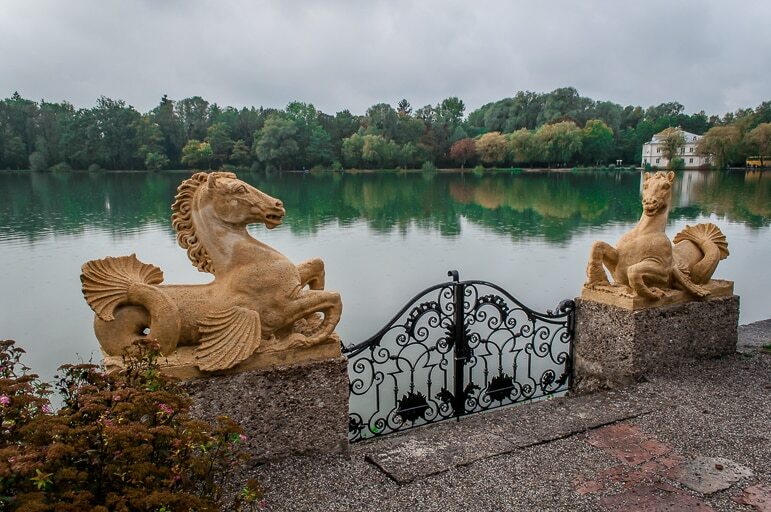 Here is the video of our interview with them at the Leopoldskon Palace, location of the scene where Maria and the children fall out of a boat into the lake. 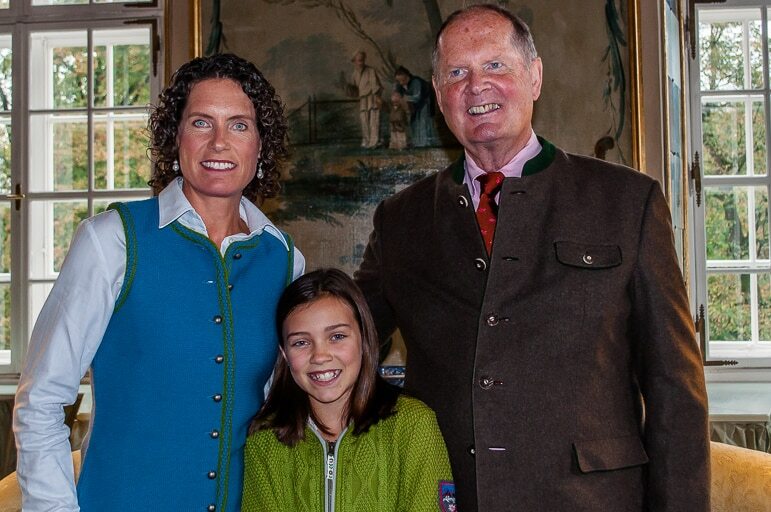 We also chatted with Johannes von Trapp, the last child of the real-life Maria von Trapp, who she was pregnant with when the family fled Austria for the United States, and his daughter Kristina and granddaughter Annie. 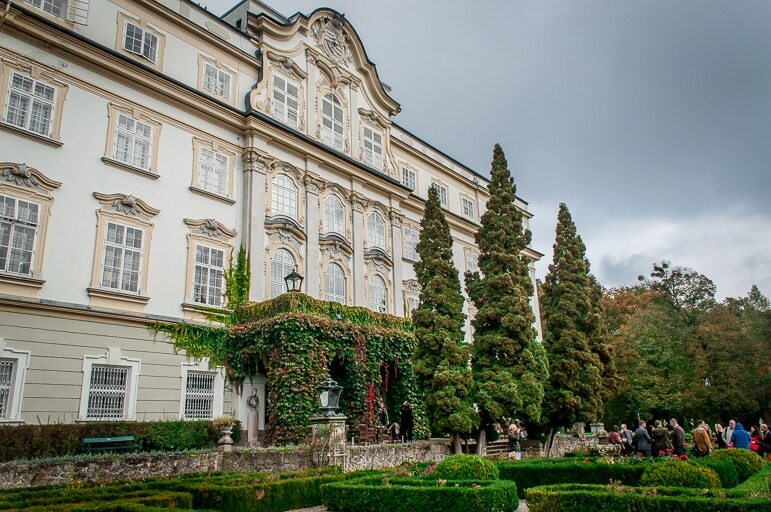 While in Salzburg for The Sound of Music anniversary celebrations it would have been remiss not to take the Sound of Music tour. 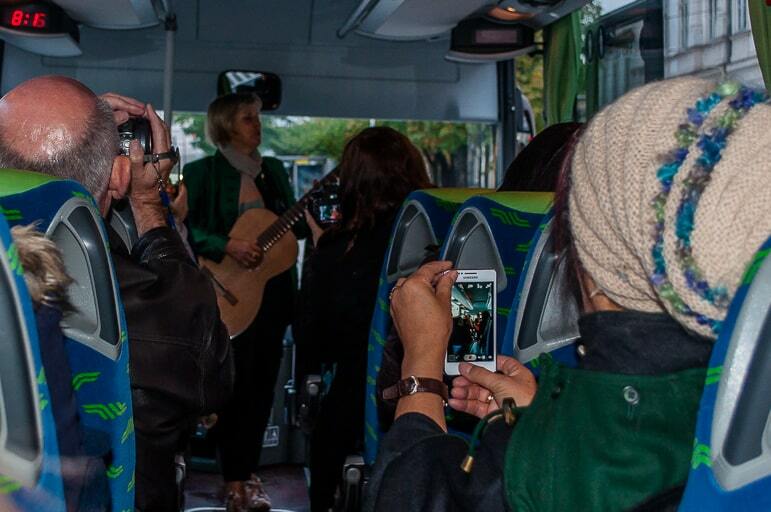 Usually tours don’t get the treat we were fortunate to have however, just before setting off one of Maria’s granddaughters, Elizabeth von Trapp, serenaded us with the most beautiful of The Sound of Music songs – Edelweiss. 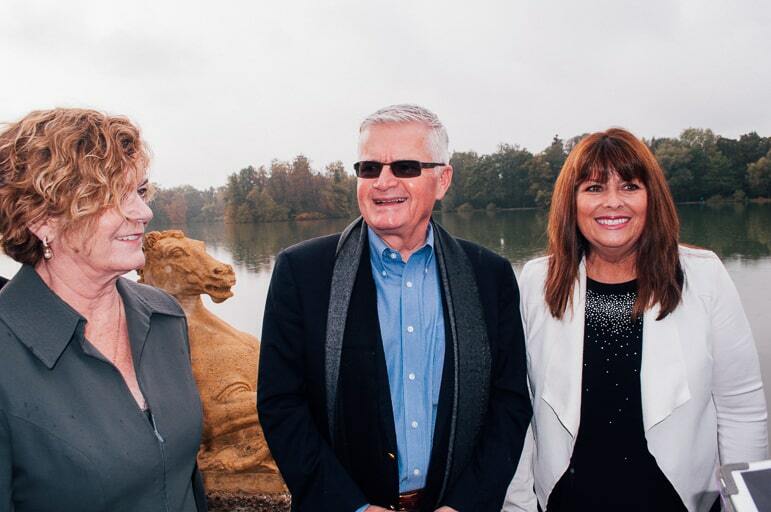 The tour takes in settings including Nonnberg Abbey, Wolfgangsee, the mansions which featured as the von Trapp family home (including the Leopoldskron) and the quaint lakeside resort of Mondsee. 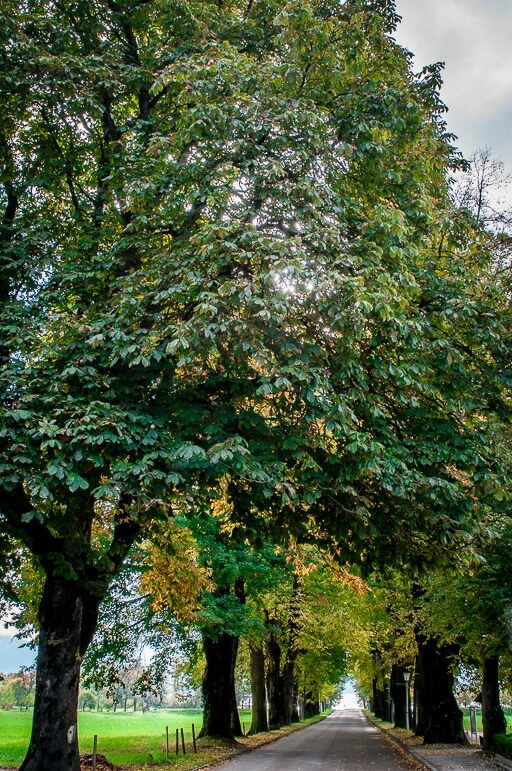 It was here where the children played in the trees, and is also the location of the baroque St Michael’s basilica where the wedding scene was filmed. The tour while taking us to many locations, also treated us to the film’s soundtrack, which the entire bus heartily sang along – it was a fun icebreaker. We also visited the new Sound of Music Hiking Trail at Werfen, about 40km from Salzburg. It ends in a pretty meadow on Gschwandtanger which is where Julie Andrews, guitar in hand, teaches the children to sing Do-Re-Mi. With a backdrop of the 900-year-old Hohenwerfen castle, imposing mountains, and lush green pastures, the reality was as fabulous as the area looked on film. For those taking the hiking trail, head to the town of Werfen for lunch at the Obauer restaurant. Not only does it serve wine by Höpler winery, exclusive suppliers to the von Trapp family’s hotel lodge in Vermont, in the US, but we enjoyed traditional Austrian food. 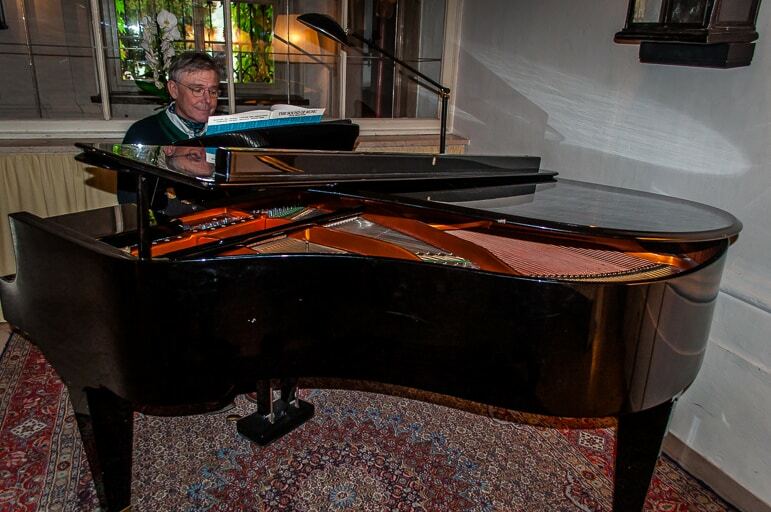 The main event of the 50th anniversary celebrations was a musical gala held at the iconic Felsenreitschule (or rock riding school). Originally built in 1693, the Felsenreitschule was the setting for the film’s singing contest. 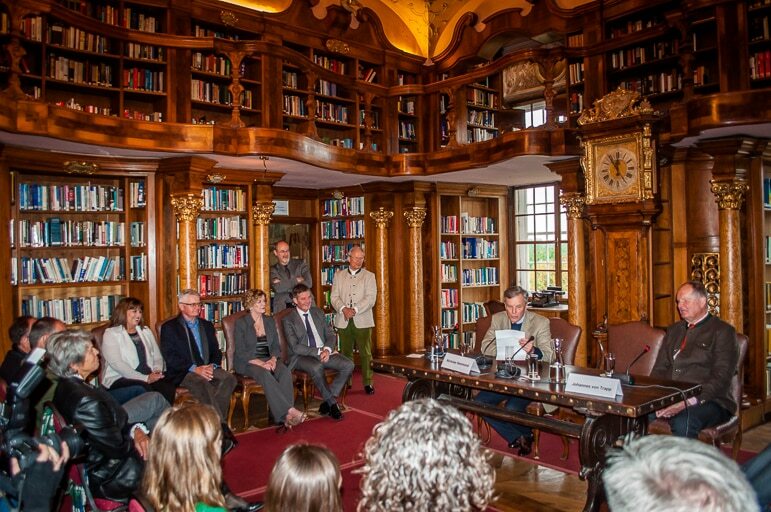 Around 1,200 people gathered for the exclusive event, including members of the film’s cast, Johannes von Trapp and his extended family, the Mayor of Salzburg and Governor of Salzburg Province. As the Felsenreitschule filled up, the excitement and expectation intensified. 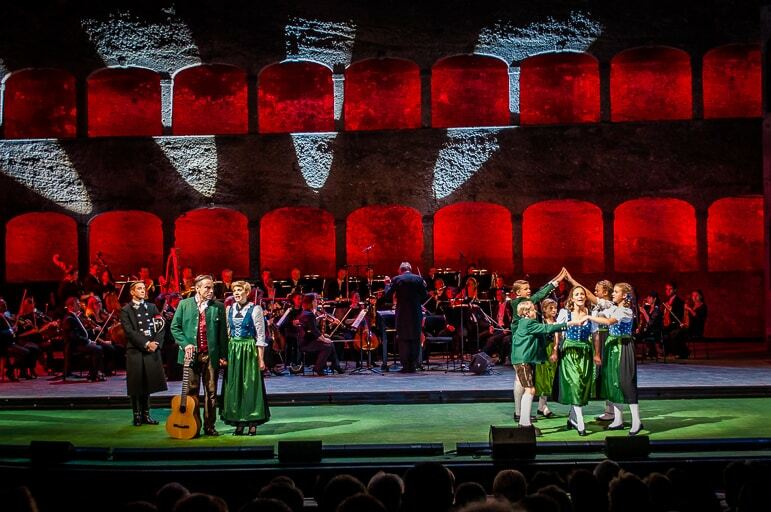 The cast of Salzburg’s Sound of Music theatre production took to the stage. 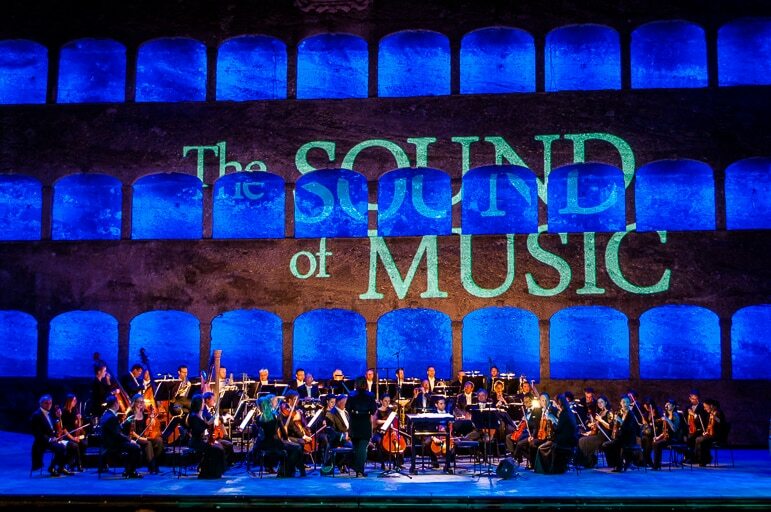 The auditorium lights dimmed as the stage lights blazed, and the musical score once again filled the Salzburg night with The Sound of Music songs. A procession of nuns walked in each filling an archway lining the walls of the Felsenreitschule, a wonderful start to what would be a memorable night. 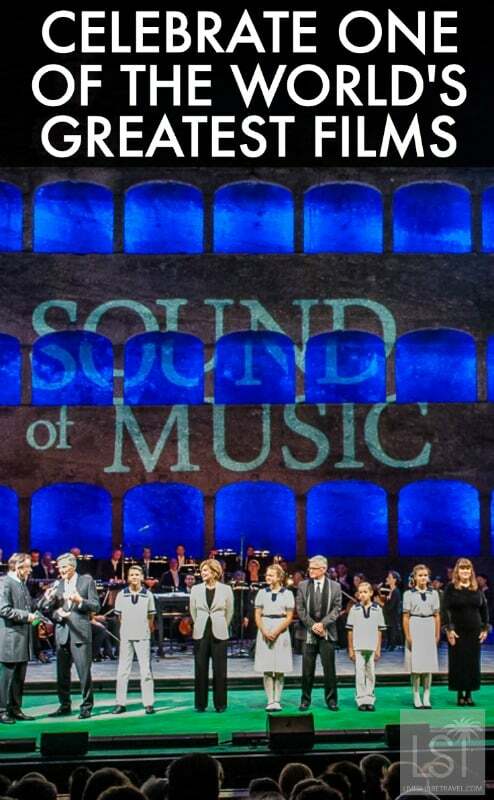 As the music soared and cast performed Sound of Music songs and scenes, we were both enthralled and enchanted, each of us clapping and roaring our approval. Then they announced that the singing competition scene from the film would be performed once more – making it the first time since the 1960s filming took place that the would witness this famous scene. And it was wonderful – the excitement palpable as the stars delivered their performances everyone chuckling at the right moment at one of the runners-up, and the sense of tension building in the crowd as the family’s escape was spotted and the Nazis took chase. 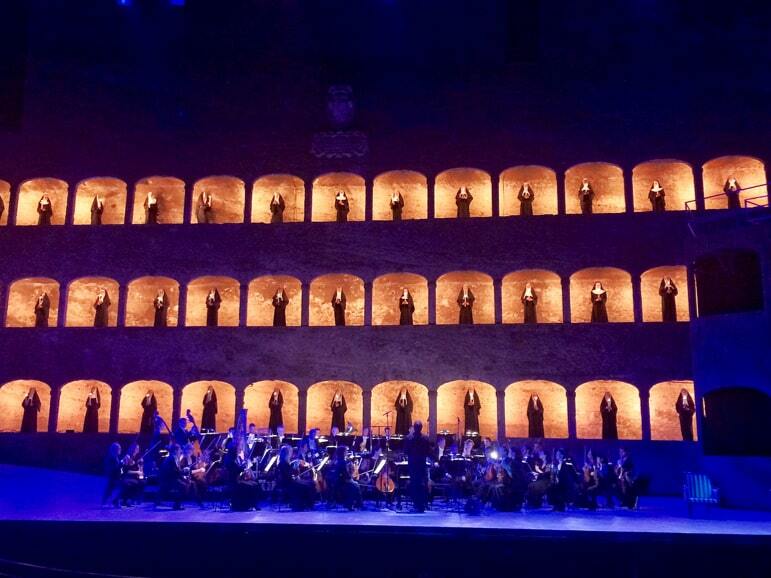 A poignant moment took place during the gala, when Salzburg’s mayor, Dr Heinz Schaden, and the artistic director of Salzburg-Landestheater, Carl Philip von Maldeghem took to the stage – von Maldeghem stating that the von Trapp family are perhaps the world’s most famous refugees. An unforgettable and very emotional evening was rounded off with the entire cast and audience singing two of the most popular The Sound of Music songs, Do-Re-Mi and Edelweiss. Emma’s view was shared by everyone, including a local man sitting next to me, who was only there as his son was part of the event. Throughout the evening though he grew more and more excited until he was cheering, clapping and stomping his feet, enraptured by the performances. Afterwards he told me this was the first time he had seen anything of the show and he’d enjoyed the music so much that he intended to buy the film the next day. Salzburg was once mainly known as the birthplace of renowned composer, Mozart. This fact, plus the enduring legacy of The Sound of Music songs and film have ensured the city’s long history has been awash with the marvellous music and the delight of dance. The 50th anniversary marked yet another milestone in this remarkable city’s story and those of us who had the privilege to be there for it, say simply, thank you. 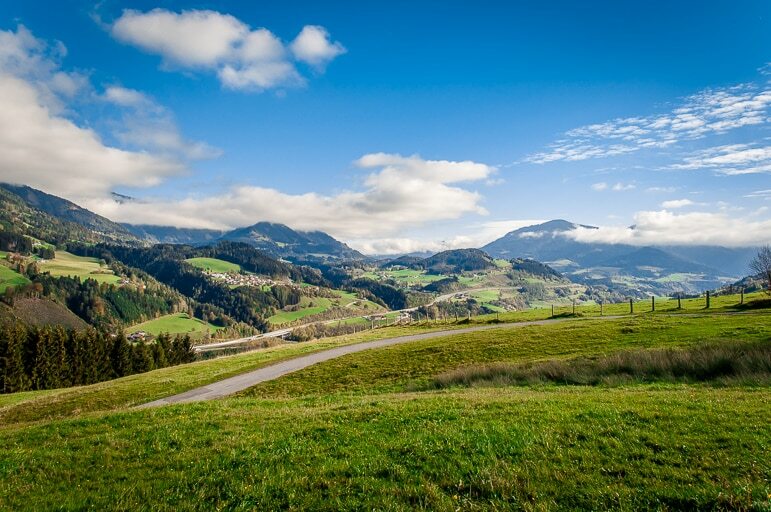 Want to discover the city and its culture for yourself – find out more about Salzburg.